Eurogamer’s Matt Wales praised System Era‘s interplanetary survival sandbox Astroneer for its “beautifully vibrant low-poly art-style” while reporting its launch date of Feb. 6, 2019. In the article, Matt also detailed all the new features that will roll out with the launch, including a new “exploration-focused adventure”, new narrative elements and Xbox One and PC cross-play. To learn more, check out the full article at Eurogamer. To keep up with Astroneer’s updates, check out System Era Softworks official website and the group’s Trello board featuring all the upcoming game features. Also, follow them on Twitter at @SystemEra and the game at @astroneergame. 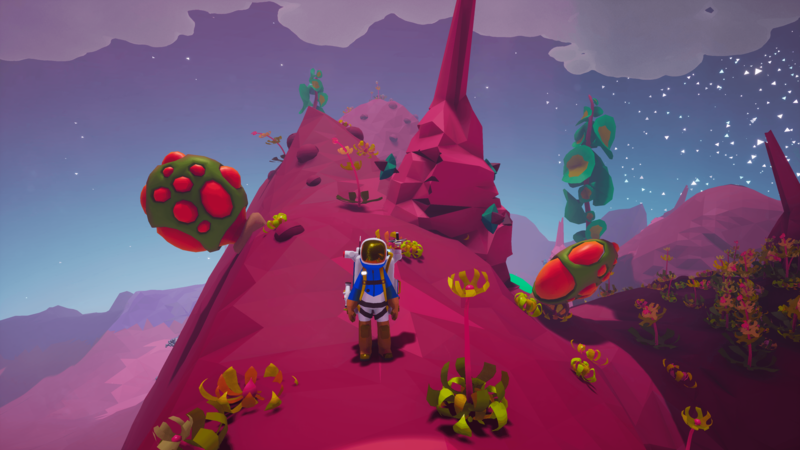 This entry was tagged astroneer, indie, indie dev, indie gaming, Indie PR, intergalactic, launch date, Microsoft, PC, pc gaming, Sandbox, survival, system era softworks, videogame, videogame pr agency, xb1, Xbox, xbox one. Bookmark the permalink.